What are Facebook Instant Article and Google AMP? Instant Articles is a tool designed for media publishers to distribute fast, interactive articles to their readers within the Facebook mobile app and Messenger. 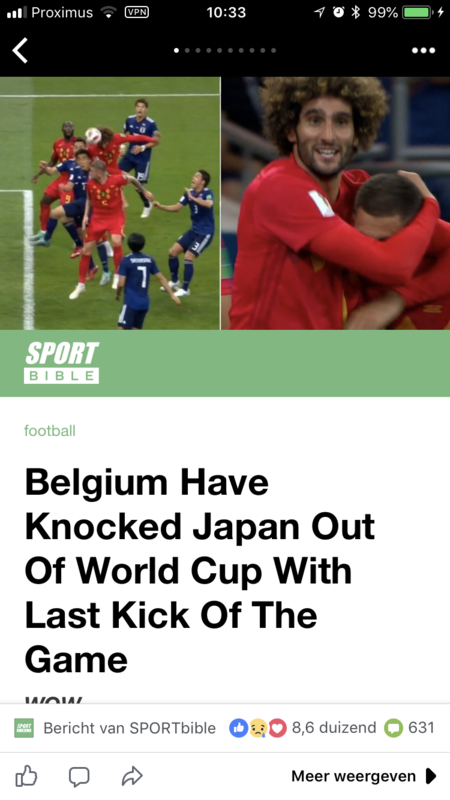 By using the same infrastructure we use to load photos and videos, Instant Articles can load up to 10 times faster than standard mobile webarticles. 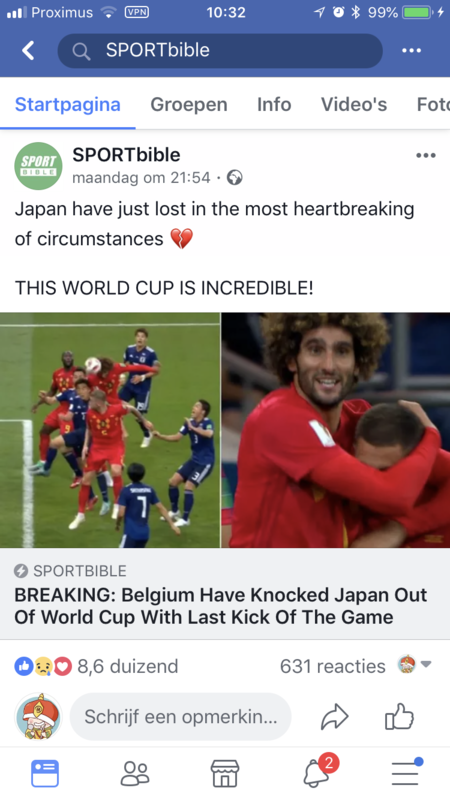 You can recognize a Facebook Instant Article by the 'lightning' icon in the Social Media post. If you click on the post, you will see the article immediately in Facebook instead of going to the mobile web page. You can easily publish to Facebook Instant Articles in Story Chief! Go to 'Channels', enable Facebook Instant Articles and follow the different steps. Google AMP stands for Google Accelerated Mobile Pages and has practically the same principle as Facebook Instant Articles. When you search in Google, some results have this 'lightning' icon as well, meaning that if you click on the result, the article will be opened very fast in Google itself without having to go to the mobile web page. 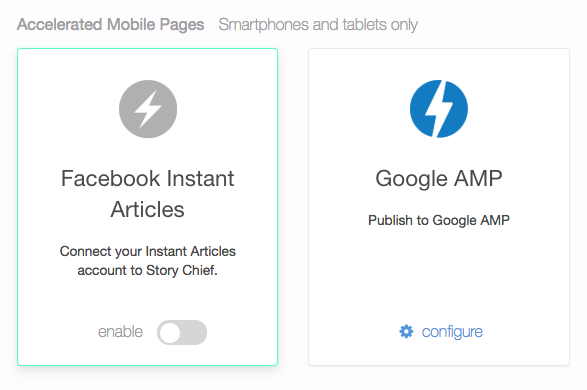 You can easily publish to Google AMP in Story Chief! Go to 'Channels', enable Google AMP and follow the different steps.